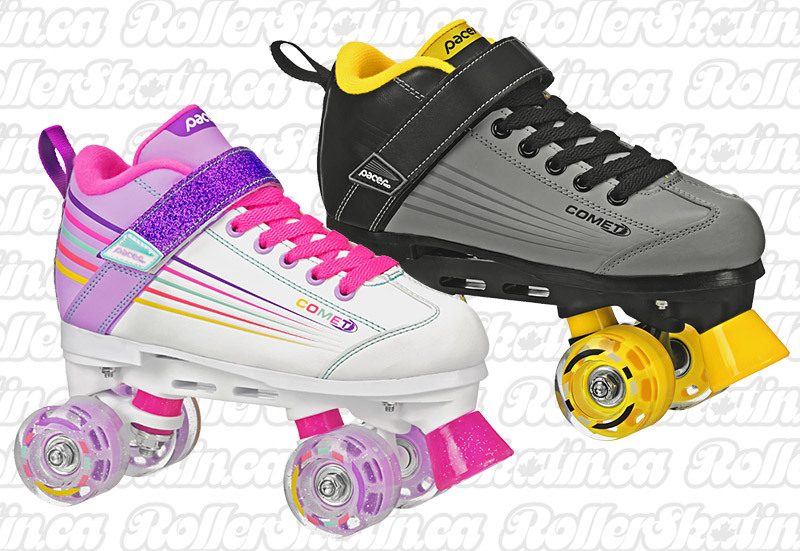 Pacer Silver Comet Light-Up Skates! 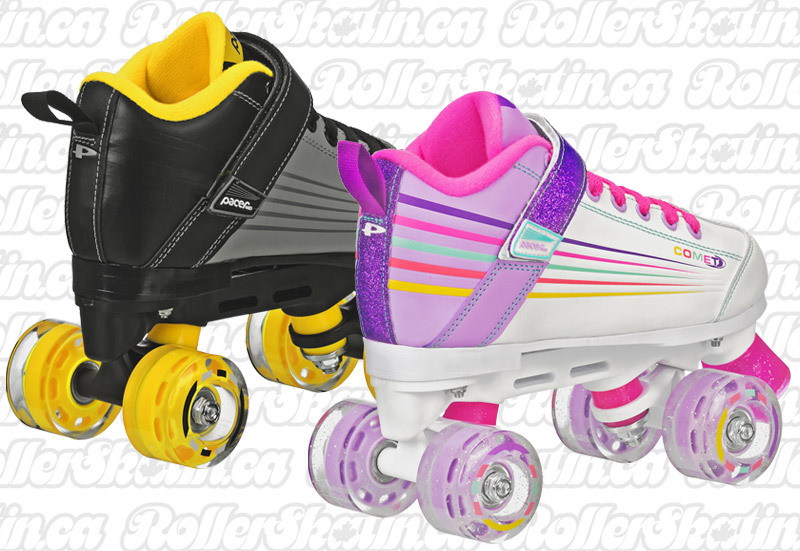 NEW – Light-up kids skates from Pacer! • Outside Wheels Light Up as you Roll! • Select: Purple/Pink/White OR Black/Yellow in sizes Junior 12 up to Youth 5 (as available in the pull-down menu).